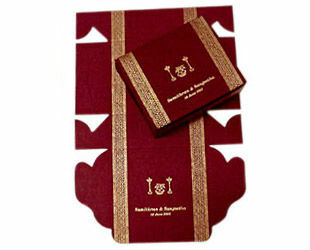 Wedding cake box and sweet box are beautiful handmade paper boxes, personalized to leave a sweet memory of the wedding on your guest. They are Handmade paper self-folding boxes. These handmade paper cake or sweet or bakery boxes can be made in any shape and size with attractive patterns and designs along with personalized printing.